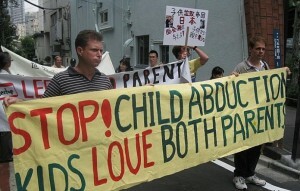 For a parent, nothing is quite as frightening as child abduction. Those who have been there never fully recover – the pain and frustration remains with them for the rest of their lives. 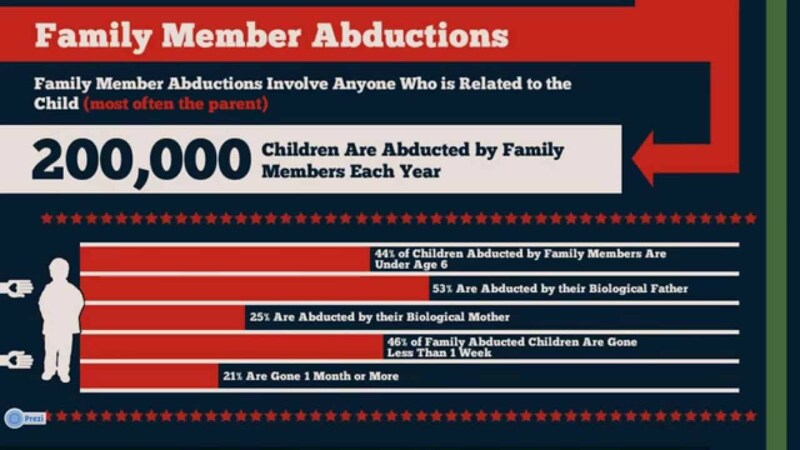 Americans believe their sons or daughters have been kidnapped more often than residents of any other country, as evidenced by over 800,000 minors annually reported missing in the U.S. And there’s good reason for them to be scared – nationwide, approximately 70,000 kids and teenagers are abducted each year. When most people think of a kidnapper, they imagine a creepy sociopath driving around in a rusty van. 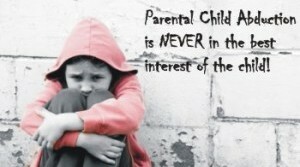 The truth is, 83% of child abduction culprits are directly related to their victims. With 15 confirmed cases per day, parental child kidnapping has become more common than ever before. It’s a shame that mainstream news outlets are ignoring the trend, especially since being informed about parental abduction is the most effective step toward preventing it. Today, divorce is the most likely outcome of any marriage and around 45% of divorces involve a long, intense legal battle. All of FBI’s most wanted parental kidnapping culprits went through a divorce, along with almost 95% of the rest. If one parent feels deeply wronged, is generally unstable or thinks their child is at risk, they may abandon everything to avoid losing or even sharing custody. 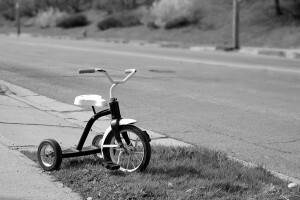 Sadly, sometimes the main motive for parental abduction is revenge. In most cases, parental abductions are carefully planned out ahead of time. As such, it won’t be easy to find missing kids if they’ve been gone for over a week. However, parents aren’t master criminals, so a well-informed person can prevent the crime by responding to the tell-tale signs of a potential parental kidnapper. These signs include efforts to gather/destroy documents, request to travel (vacation) with the child, save up money, take out loans, liquidate assets and change jobs. Needless to say, parents want only the best for their kids. Most offenders deserve sympathy and are only ‘guilty’ in the legal sense of the word, so there are no antagonists here (no one for the media to crucify.) Furthermore, there is no popular opinion to follow – each case raises complex, highly sensitive moral and ethical questions. And, since there is no popular opinion on the topic, reporting about parental child abductions is a major career risk for journalists. Well, while society decides who the ‘bad guy’ is, innocent victims remain widely ignored. The one common factor in all parental kidnappings is that they never end well for the kids. Excluding worst-case scenarios, there are two possibilities and both lead to a similar outcome. They either end up living on the run, which robs them of a childhood, or see their “captors” get caught and imprisoned. Either way, the experience guarantees enough psychological trauma to turn a child into an extremely frustrated teenager and, thereafter, into a deeply depressed adult. It’s up to each and every one of us to raise awareness about the crime, as well as how to prevent it.